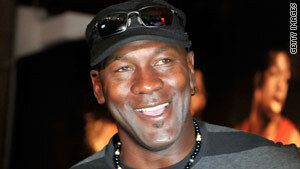 Former NBA superstar Michael Jordan is part of a group that has agreed to purchase the Charlotte Bobcats. (CNN) -- Retired basketball icon Michael Jordan bought a majority share of the NBA's Charlotte Bobcats, officials said Saturday. Jordan, who was already a minority owner of the team, headed a group that bought a majority share of the team from businessman Robert Johnson, Johnson said in a statement. Johnson said he has signed a "definitive agreement" to sell majority interest of Bobcats Sports and Entertainment to Michael Jordan and MJ Basketball Holdings, LLC. The deal is subject to NBA approval. Details on the purchase price were not available. Jordan has overseen the team's basketball operations in recent years. He won six NBA titles with the Chicago Bulls. Johnson, who founded BET and sold it to Viacom for $3 billion in 2001, announced that he had been looking for someone to buy earlier this year. His fortune was depleted by an expensive divorce, but in a 2009 interview with CNN, Johnson estimated his net worth was still $1.1 billion. Johnson's resume is full of firsts: BET was the first African-American owned company traded on the NYSE. He was the first African-American billionaire in the United States. And, in 2002, he became the first African-American majority owner of a professional sports franchise.